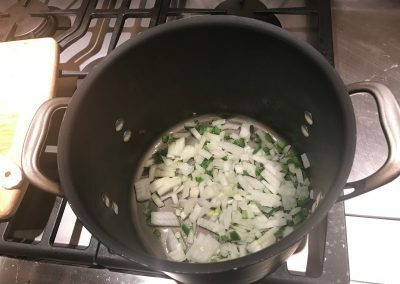 It’s a gloomy Super Bowl Sunday in Atlanta, so I’ve added this chili at the last minute to satisfy the soul. 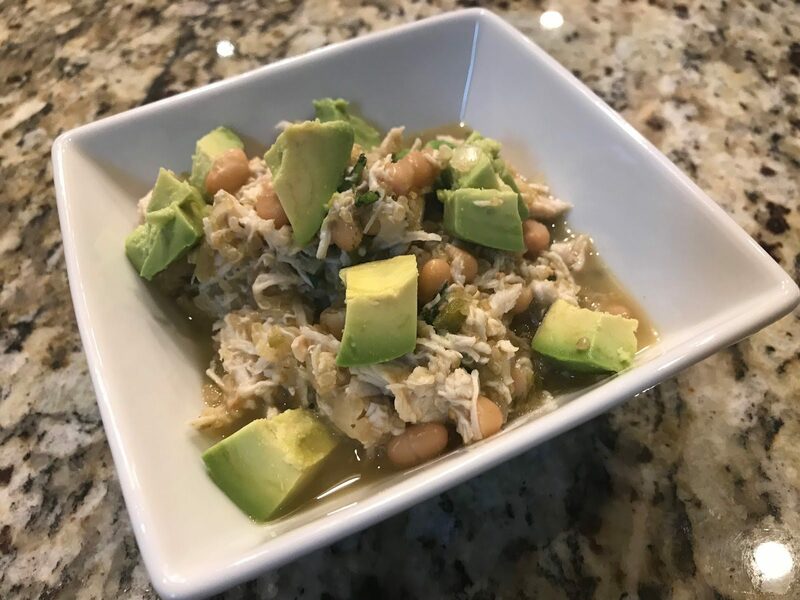 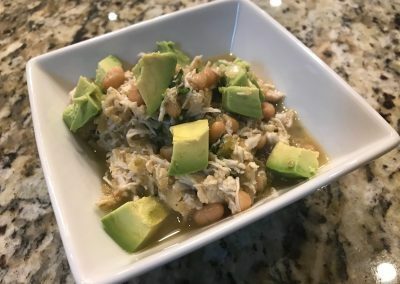 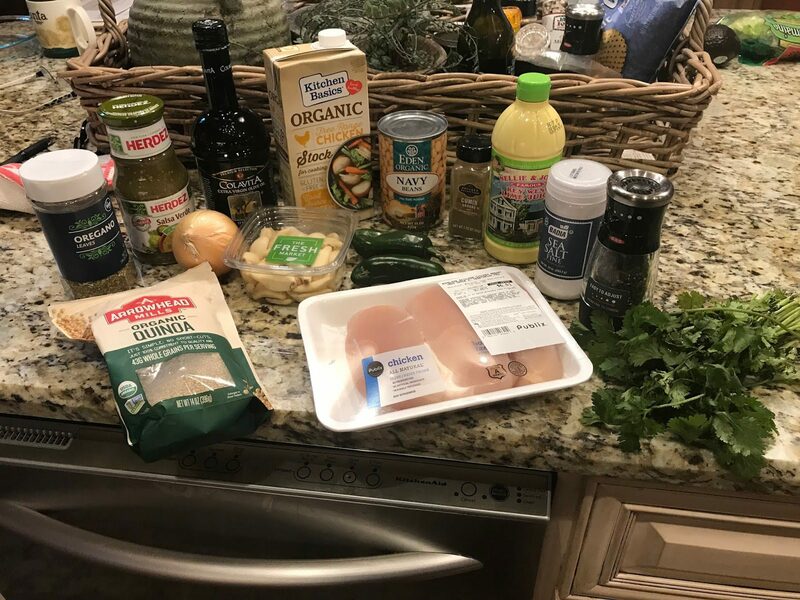 It’s a healthier version of my chicken chili, and with the addition of quinoa, it’s packed with goodness. 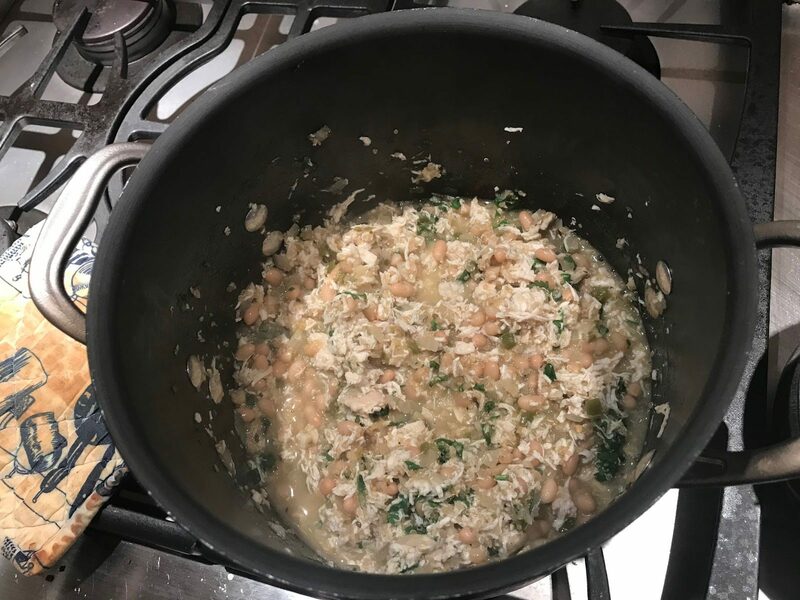 Plus, it’s a snap to make and you can be done in under 30 minutes from start to finish. 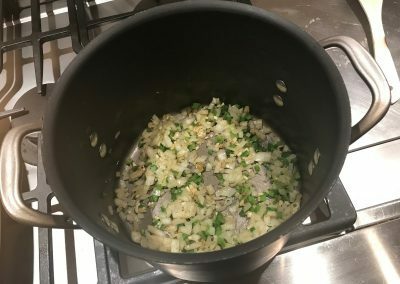 And the addition of lime juice really gives this chili a zesty fresh taste that I love! 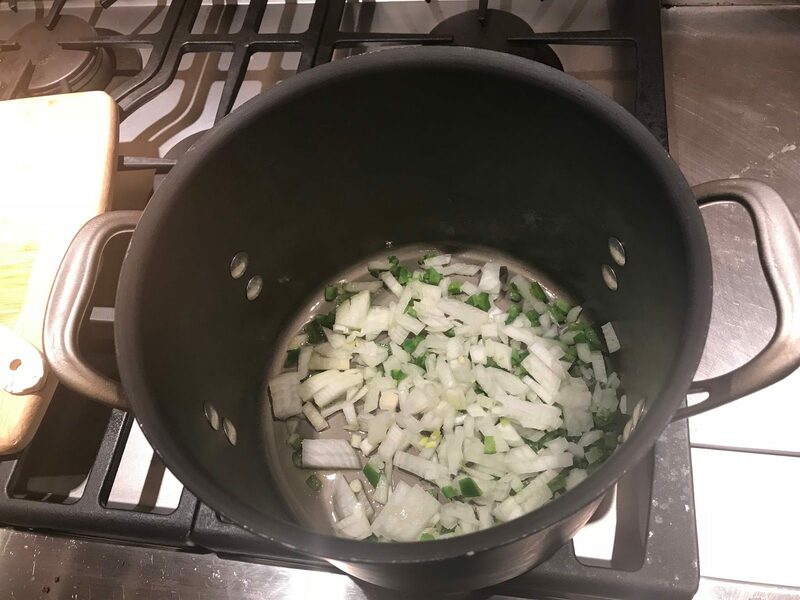 Heat the oil in a large sauce pan over medium heat, add the onion and jalapeno peppers and cook until tender, about 5-7 minutes. 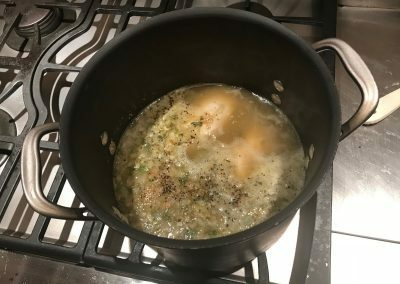 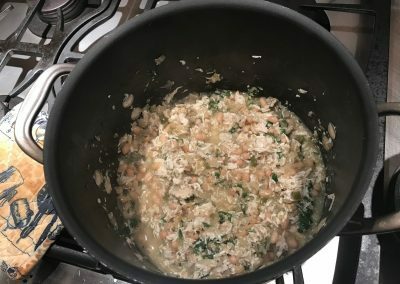 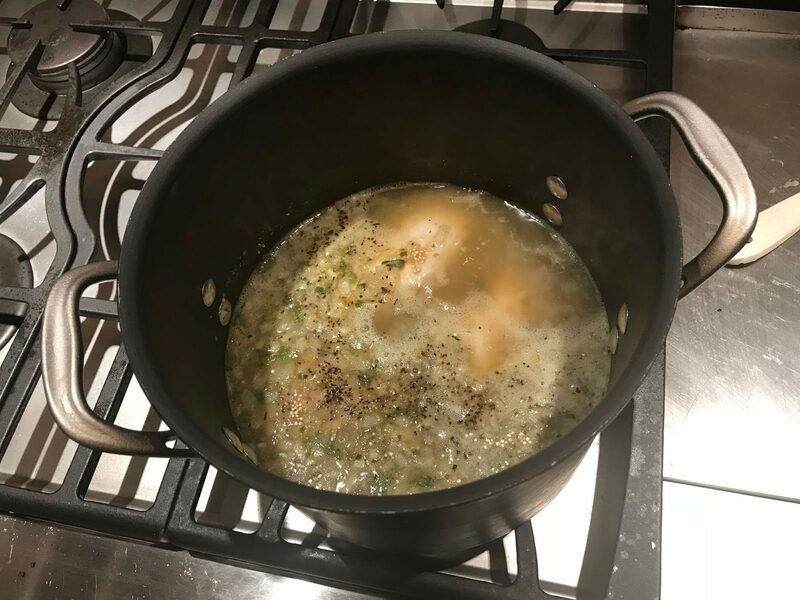 Add the broth, salsa verde, chicken, beans, quinoa and oregano, bring to a boil, reduce the heat and simmer until the chicken is cooked and the quinoa is tender, about 20 minutes or so (depending on how large your chicken pieces are). 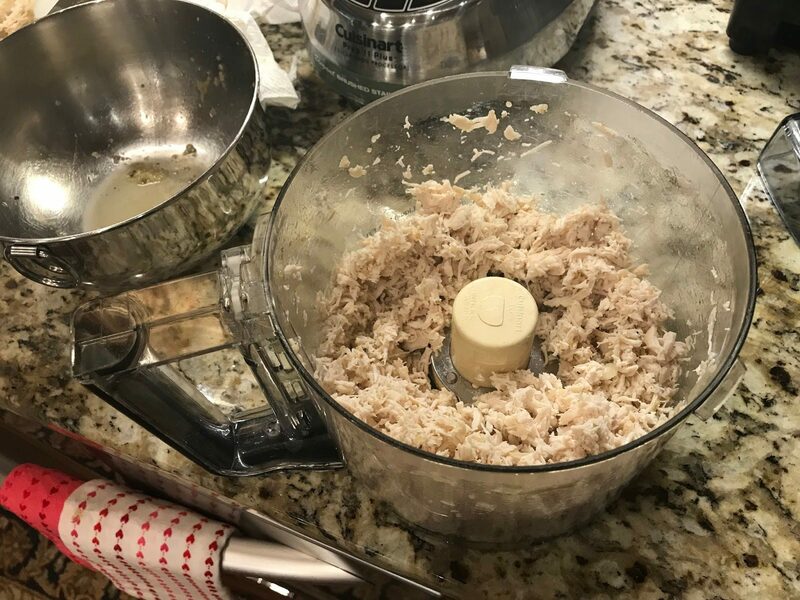 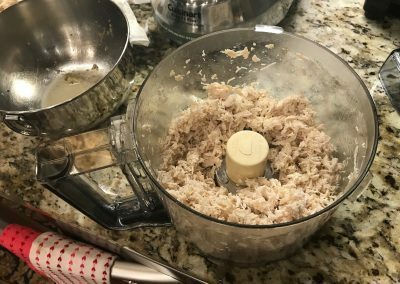 Remove the chicken, shred in a food processor. 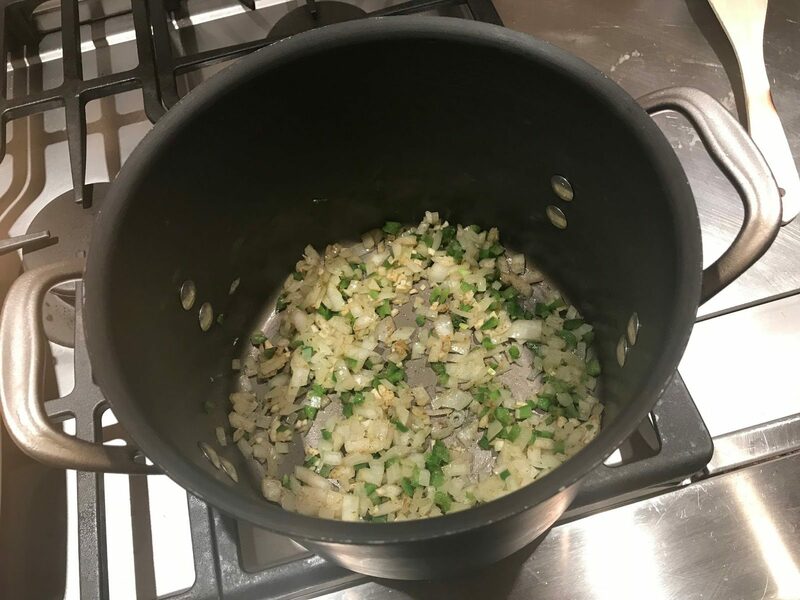 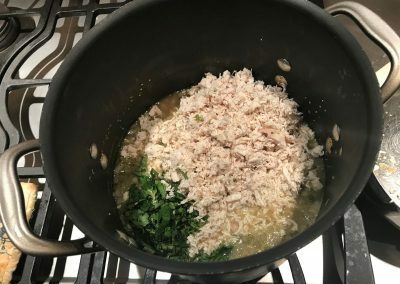 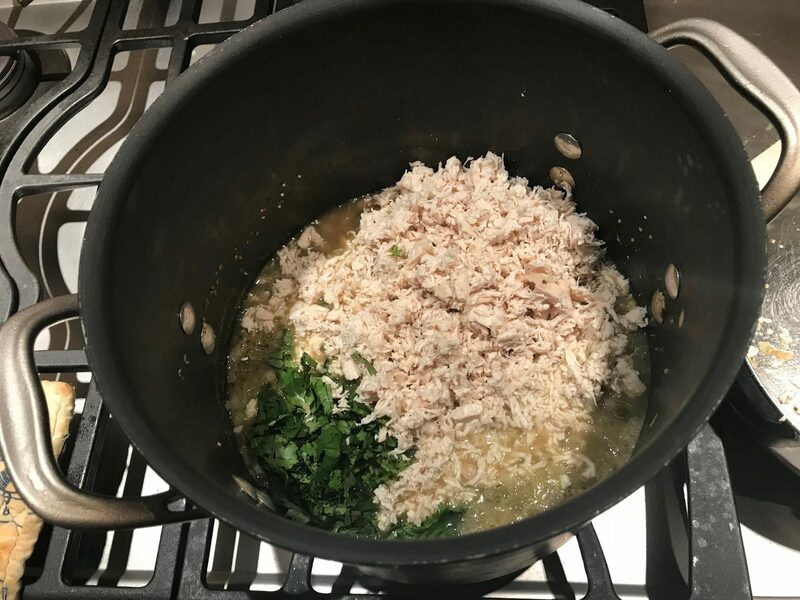 Then return the chicken to the soup along with the lime juice and cilantro, season with salt and pepper and remove from heat.